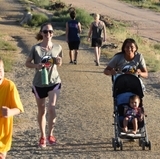 Students from The University of New Mexico's Sustainability Studies Program have been awarded $1,000 scholarships. 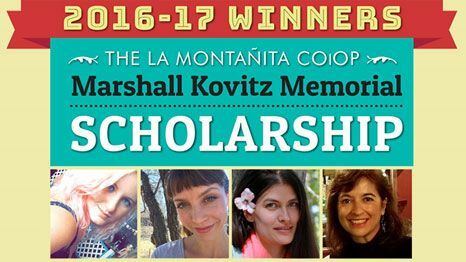 Carly Anderson, Christina Hoberg, Amy Sedillo and Pam Quintana were awarded the La Montañita Co-op Marshall Kovitz Memorial Scholarship. 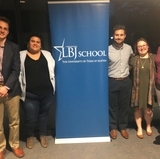 The Sustainability Studies Program provided a $1,000 match to La Montañita’s initial donation, and along with the support of generous community donors, La Montañita and the Sustainability Studies Program were able to award at total of $4,000 in scholarships. La Montañita Co-op Marshall Kovitz Memorial Scholarship recipients include (l. to r.): Carly Anderson, Christina Hoberg, Amy Sedillo and Pam Quintana. Each of these students works in some area of food systems. Anderson is traveling to Italy this summer and working with a program that focuses on local food systems. Hoberg is a graduate of Las Huertas Farmer Training Program. She is currently in the process of creating the Firewheel Women’s Collective at the Rio Grande Community Farm. Quintana’s specific interest is food waste – from the toxic impact it has on the environment to the other end of the spectrum, which is food insecurity. Sedillo is a ‘foodie’ who loves exploring the local food scene. Her mission is to help others develop a love for fresh, local food and encourage the younger generations to learn about where their food comes from. The Co-op, New Mexico’s largest community-owned natural/organic food market with locations in Albuquerque, Santa Fe and Gallup, established the “La Montañita Co-op Marshall Kovitz Memorial Scholarship” for UNM students minoring in Sustainability Studies. Marshall Kovitz was a founding member-owner of the co-op. He passed away Spring 2016. “We’ve always been extremely grateful for our long-term relationship with the co-op,” said Dr. Bruce Milne, director of the UNM Sustainability Studies Program. “It’s a match made in heaven.” The program, available as a minor since 2007, is open to students of any major. 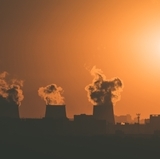 For more information, visit UNM Sustainability Studies Program.